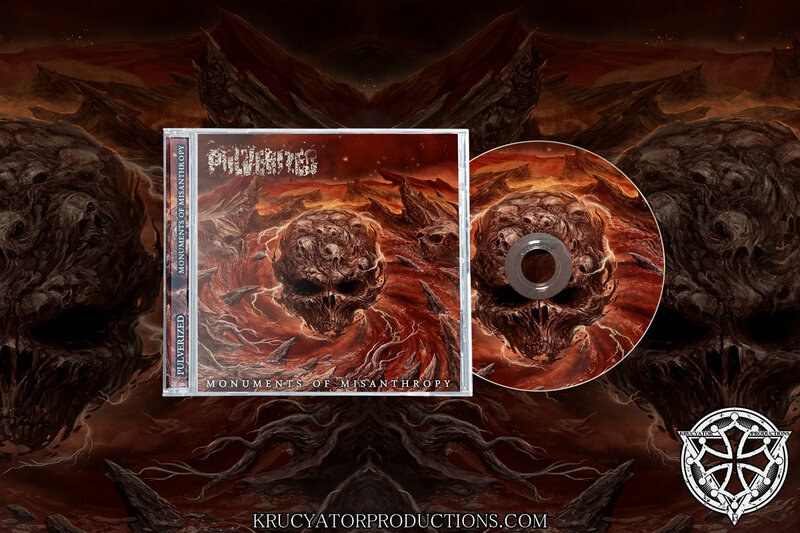 KRUCYATOR PRODUCTIONS will release, on 13 October 2018, the first full length album of chilean Death Metal Warriors PULVERIZED. 6 hymns of old school Death Metal in the vein of prime Suffocation, Morbid Angel, Deicide, Obituary, Krisiun and Abhorrence (Brazil). Last edited by Krucyator on Tue Dec 04, 2018 8:09 am, edited 2 times in total. "“Devoción” is marked by fleet-fingered fretwork and blazing-fast drumwork, but at the outset it seems more like the approach of a lumbering, lurching beast, even with the bursts of rapid snare clattering that herald that approach. As the track proceeds, it becomes increasingly vicious and fierce"
"The boiling, roiling, churning, burning, smashing, crashing riffs"
Toiletovhell premieres a second track "Aniquilación Genética"